We often wonder why women with the most beautiful and long, luxurious locks will feel the need to grab the scissors and opt for a short and spiky pixie cut. It almost defies comprehension. There are so many women out there who would kill for thick, silky, and healthy hair and the concept of someone just chopping it all off feels like hair shaming or a betrayal. Thousands of dollars are spent on hair extensions to achieve the perfect strands as we watch the fortunate just cut. But, what makes someone with long hair suddenly feel this insatiable urge to cut all of their hair off and furthermore, why do those (again) with the most beautiful heads of hair go for the dramatic chop? There are many reasons, some practical while others are impulsive and though it can be great and fun to play with your look, thinking about the permanence is something that we all need to do otherwise we will be left crying in the salon chair because we did not thoroughly think this change through. 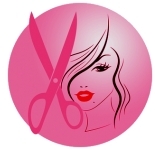 Let us start off with the reasons why women start to think about chopping their hair and what brings about these urges to get a better understanding and then we will explore how to combat these urges and maybe some ways to get around them. If you are contemplating chopping your long hair, you can take what I am saying and truly think before you leap or understand the consequences of what you feel is best. Because one thing we know for sure is that hair (almost always) grows, so a time chop can grow back in time if you have patience and a free-spirited attitude. But again, mainly patience. Break ups bring about the biggest need for females to change their appearances, mainly their hair. Katy Perry went for a dramatic chop when she and Orlando Bloom broke up, so much so that she got a total pixie. She rocks it but she once made a comment that if she went blonde too fast, her hair would fall out and she would be forced to have this haircut. Now, it seems like she is finding liberation in being free from her hair but she is also a hair chameleon so it kind of makes sense. Miley Cyrus also showed signs of problems with on and off again with fiancé Liam Hemsworth when she chopped her signature locks off several years ago, which have since grown back. Women also tend to head to the salon when they are feeling depressed, sadly enough. They have the mentality that if they cut off their hair, they can cut off their problems too. But trust me, it only lasts about ten minutes or maybe a day or two and that is not how problems are solved. It might make them worse once you look in the mirror and see what you have done and that there is no going back. I have had sad moments where I think a cut will fix it all and for a moment, I feel better. But then, I am still the same person and nothing has resolved because beauty has to first come from within. Despite how cliché it may sound. It is the truth. The best reasoning to chop your locks completely off is if you have been growing them out purposely so that you can donate them to kids with cancer which in that case, chop away. You have a plan and that is fully supported and you are doing something so amazing and you can feel that in your heart. 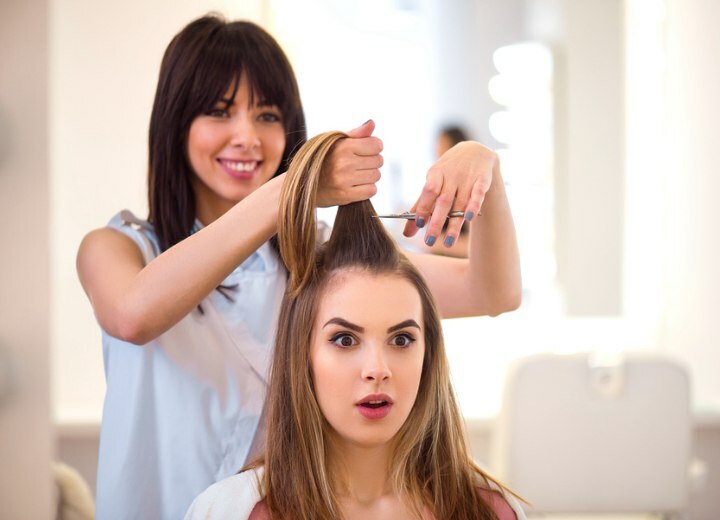 Occasionally, women want a new hairstyle to go with a change in life but you do not want to shock your system. So again, maybe go gradually into the super short world and don’t rush. There are so many fun happy mediums that are often overlooked because we can go all or nothing and that is not always a bad thing but it is not the most beneficial.